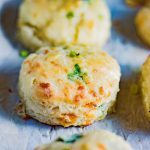 So this is day 4 of the 100 biscuit challenge and I might just have found my biscuit of the month! 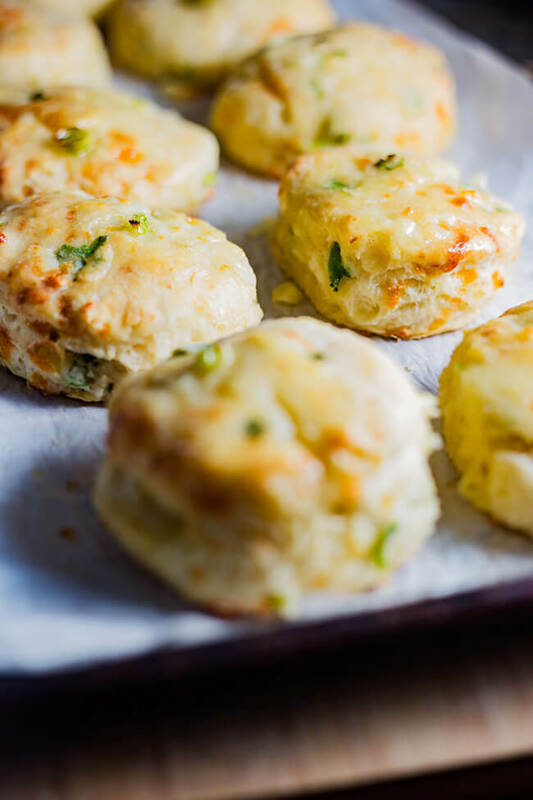 I have made these for dinner, tossed them in with my lunch or had some alongside scrambled eggs for breakfast this morning. They are legit an obsession at the moment. 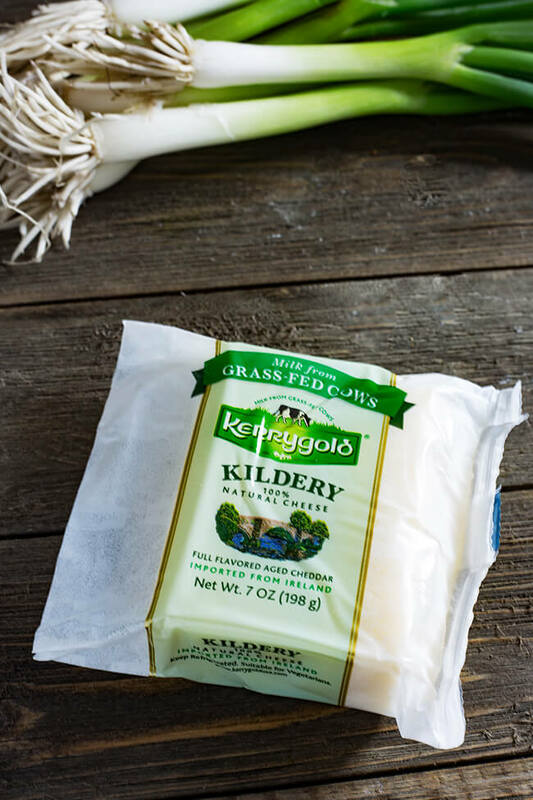 I used this Kerrygold aged cheddar cheese. I think you guys know how I feel about Kerrygold’s butter- and I feel just as strongly about their cheese. Can we have a chat about how next level these are though? 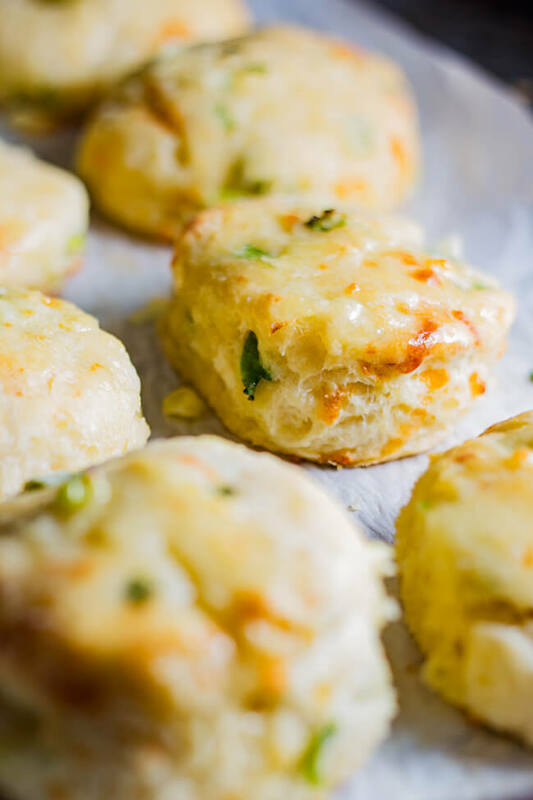 These savory, tangy and extra cheesy biscuits will disappear within seconds of coming out of the oven! 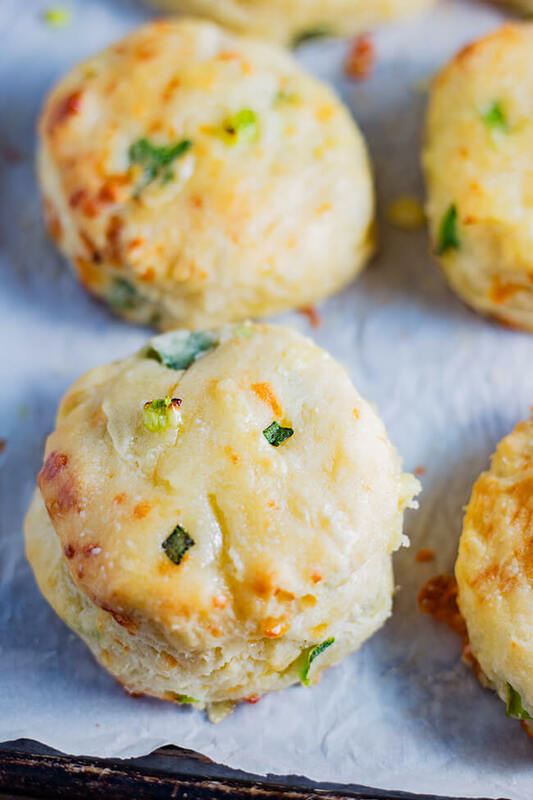 You won’t be able to stop yourself from grabbing a few before they hit the dinner table. I literally have these three by the time I finished taking pictures for this post. 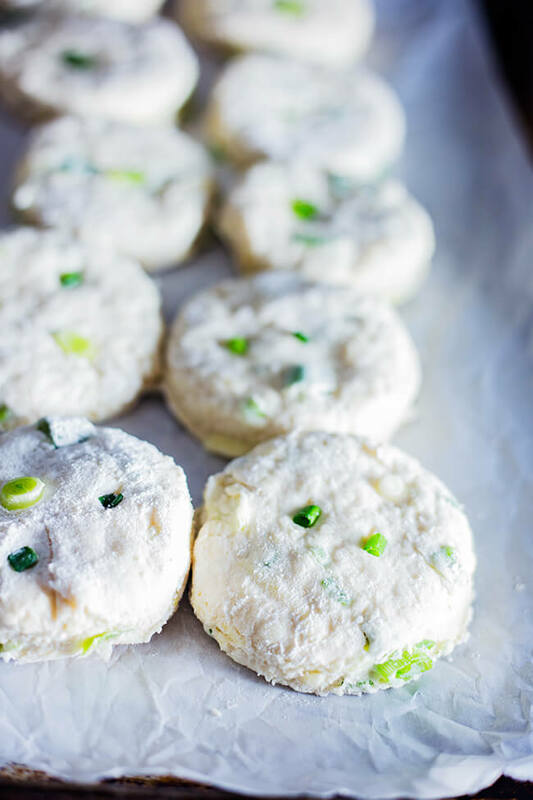 Oh, and they are absolutely great as a topping for potpies. 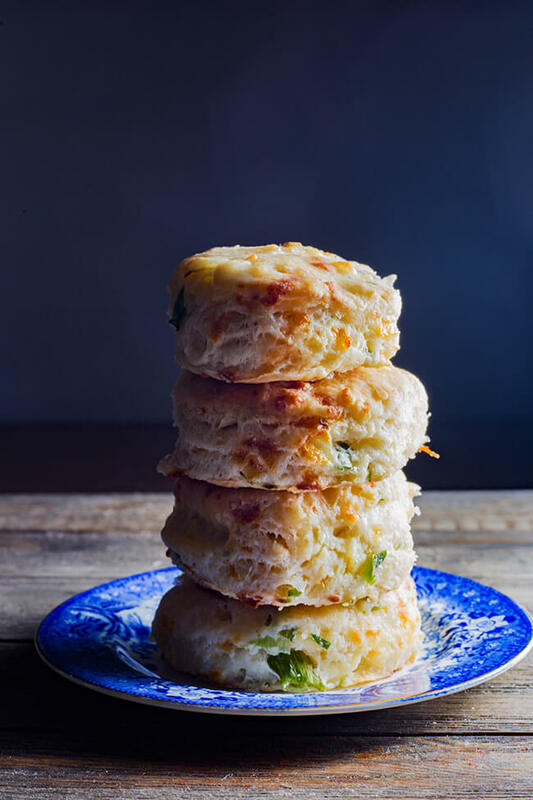 Years ago, I share my great grandmother’s beef stew loaded with vegetables and I topped it with my cheddar biscuits. I usually make it every time my great grandma Oslo visits- the last visit I topped it with these little babies. 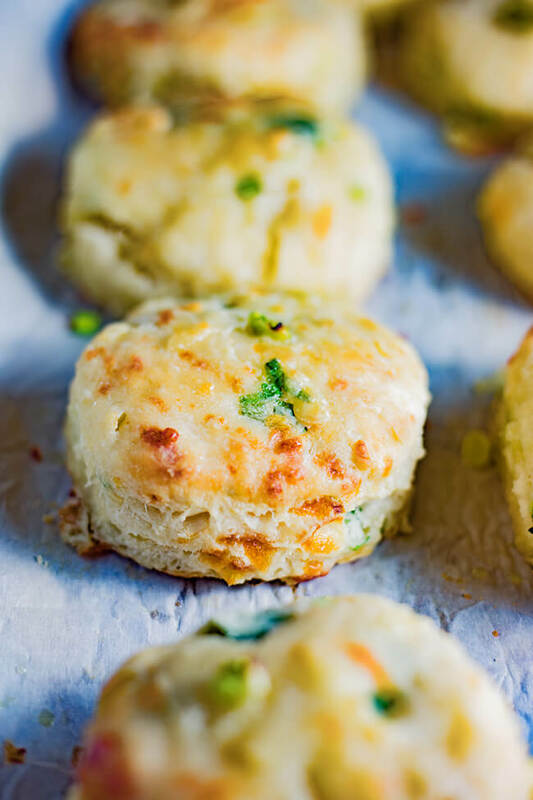 I love the rustic look to these biscuits because of the pockets of cheese and scallions. There is something beautiful in the imperfections. 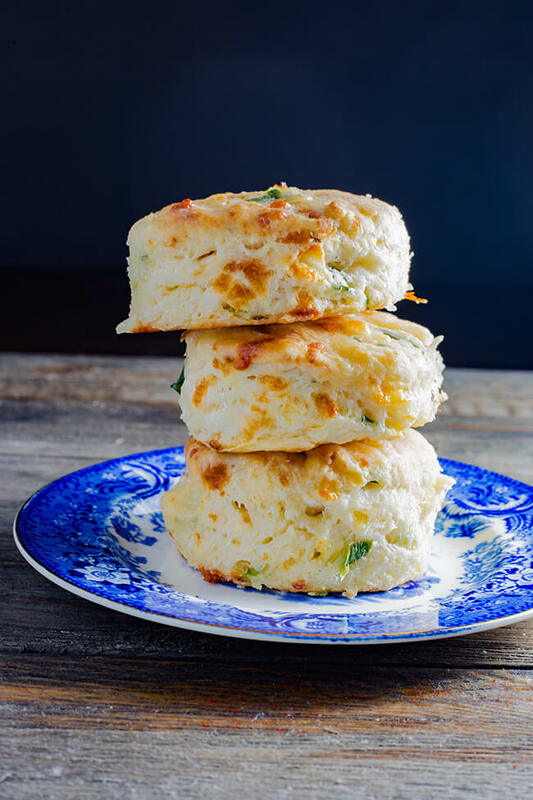 These tasty biscuits are extra tender thanks to the addition of both buttermilk and cheese. 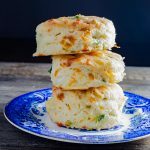 I love making these biscuits because they really do come together in a flash- super quick and easy it is almost too sinfully delicious- buttery golden crusty tops and fluffy moist insides. I hope you guys make these as soon as possible and send me a comment to let me know how they turned out.